Effortlessly complete employee performance reviews with the digital Employee Evaluation Form. 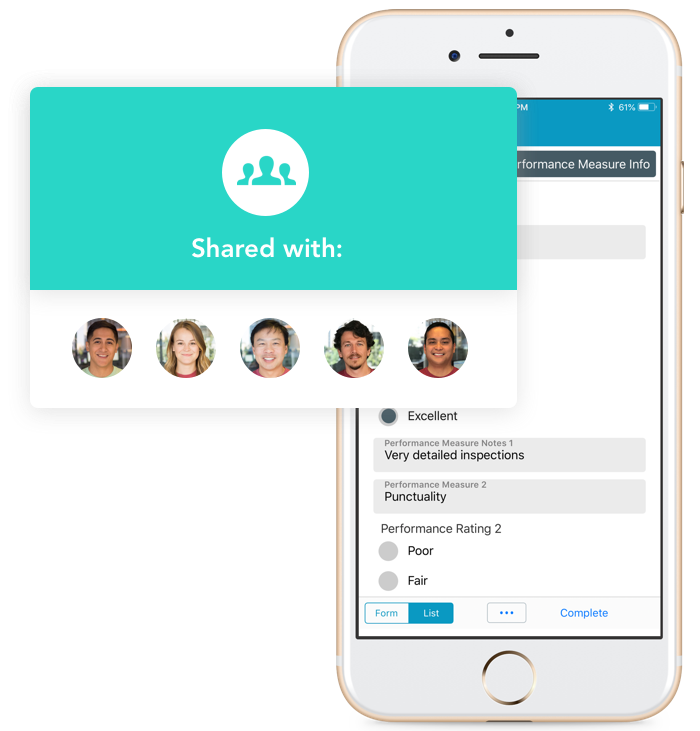 GoFormz makes it easy to improve performance management, track employee progress and share performance reviews with the digital Employee Evaluation form. 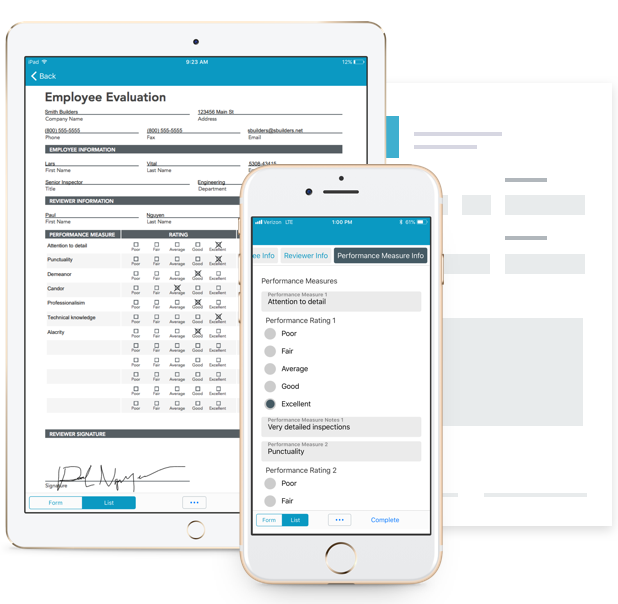 Digitally record performance review details from your phone, tablet or computer, and instantly route completed employee evaluation forms to human resources, supervisors and more. Completed digital Employee Evaluation forms are immediately stored in the Cloud –– improving review accessibility and performance management. Forms can also be automatically organized using folders and tags, simplifying review retrieval. 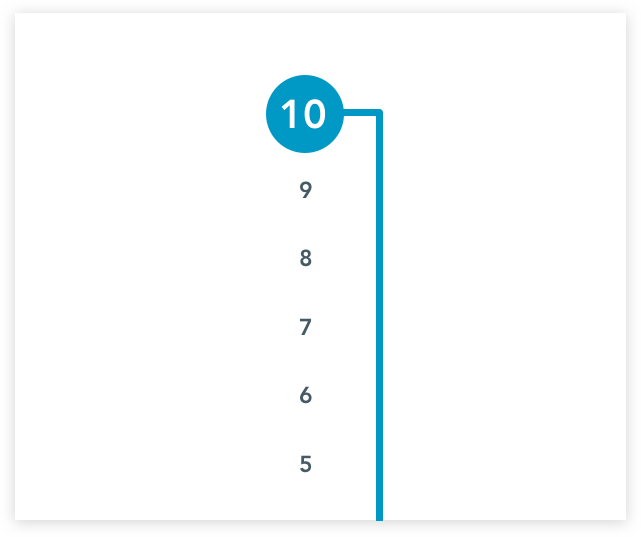 Include a customizable grading scale in your digital Employee Evaluation forms to better track performance management. 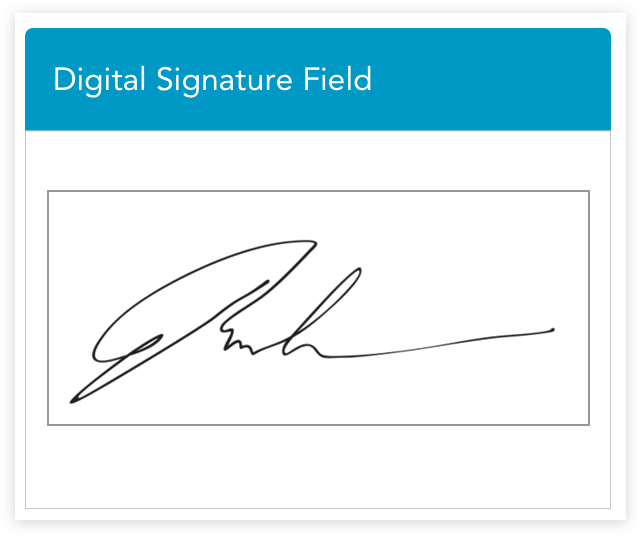 Capture supervisor, human resources and employee performance review approvals with digital signatures. 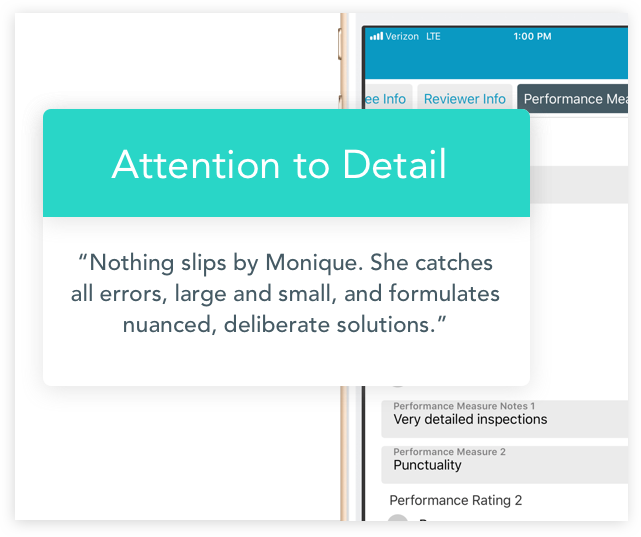 Bring context to your performance reviews with easy to use Text fields, making it simple to add evaluation notes and details. 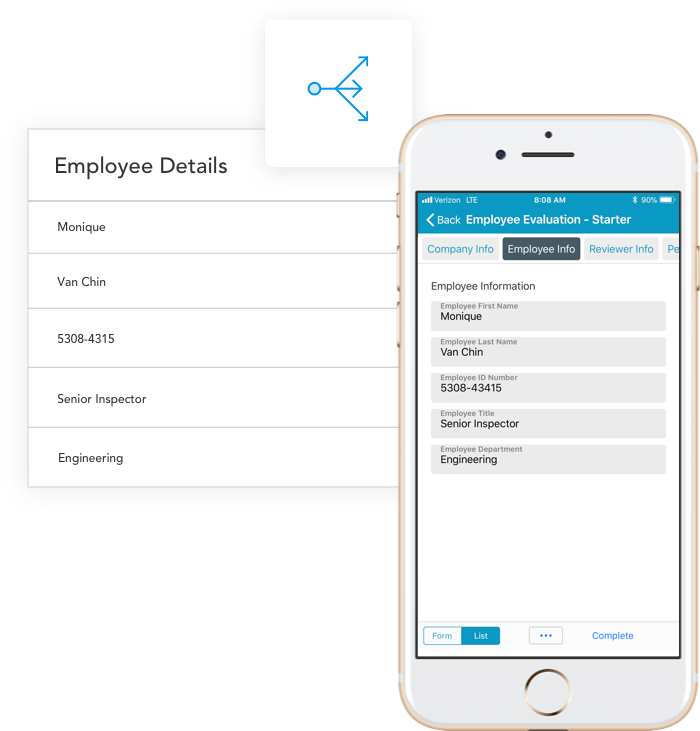 Using dropdowns pre-filled with employee data, instantly populate corresponding fields based on your selection –– expediting form completion. Learn more about improving performance management with the digital Employee Evaluation form.